Welcome, Columbia Tourism Ambassadors! 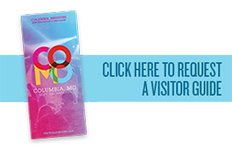 Thank you for helping us give our CoMo visitors the best experience possible. Below, find information on upcoming classes, how to renew, volunteer opportunities, and networking events. Please spread the word and let friends and co-workers know how (and why) they can become a CTA. There are several roles to choose from, including front desk docent, research facilitator, special events (including the Stables Tour and Boone Piano Concerts), exhibits assistant and tour guide (for Maplewood House and the “Village”). Our greatest need is probably that of acting as a greeter, cashier and museum guide at our front desk Those shifts are available Wed-Sunday and can be as short as 4 hours. Volunteers are understood to be our greatest asset and are recognized annually at the winter holiday reception. Contact the museum at officemanager@boonehistory.org opens in a new window or 573-443-8936 opens in a new window. Click on “RENEW MY CERTIFICATION-Record My Points”. Select from one of the two renewal categories ”Visiting Attractions” or “Activities” (see list below). You must submit a payment or your renewal will not process within the CTANetwork system. ATTENDED EVENTS: CTA Networking Events, Partner Activities, CVB Events, Chamber of Commerce Events, Professional Association/other organization Events. VOLUNTEERING: Festivals or Events, Meetings/Conventions, Visitor Centers, Visitor/Tourism-related events, completed surveys, Post on CVB or CTA Facebook page, Blog on CVB web site. Don’t forget to wear your pin and ‘Like’ us on Facebook opens in a new window!